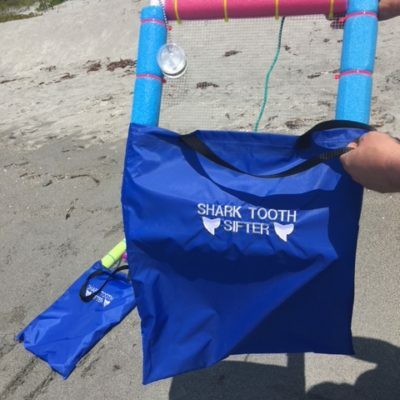 The Shark Tooth Ocean Sifter is lightweight, 19″ x 22″, with a 15 ” x 15″ mesh work area, featuring two convenient handles, an attached jar for your finds, a 3 foot lanyard which expands to 6 feet depending on your preference and a shark tooth identification sticker on the handle. SKU: Ocean Sifter Categories: Featured, Ocean Sifter Tag: Ocean Sifter 15"
The Shark Tooth Ocean Sifter is Back! 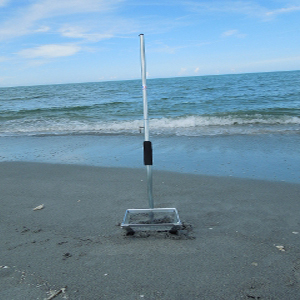 The Shark Tooth Ocean Sifter is lightweight, 19″ x 22″, with a 15 ” x 15″ mesh work area, featuring two convenient handles, an attached jar for your finds, a 3 foot lanyard which expands to 6 feet depending on your preference and a shark tooth identification sticker on the handle. 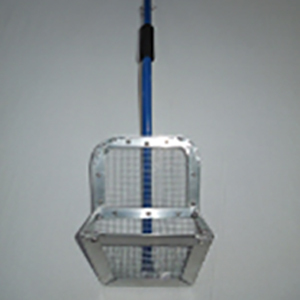 The sifter is made of 1/2″ pvc and 1/4″ galvanized mesh. It comes with a wrist lanyard and a carabiner clip. This product can be used with our Shark Tooth Sifter or sand flea rake. 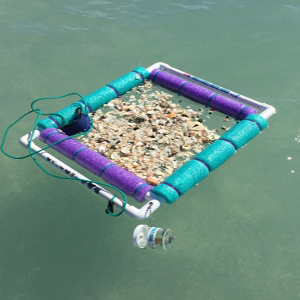 The ultimate in floating sifters!